Copy of Cover of The Squid, the Vibrio & the Moon. Written by Ailsa Wild, Illustrated by Aviva Reed and Created by Dr. Gregory Crocetti. Published by Scale Free Network, 2014. Copy of Selected page from The Squid, the Vibrio & the Moon. Written by Ailsa Wild, Illustrated by Aviva Reed and Created by Dr. Gregory Crocetti. Published by Scale Free Network, 2014. Copy of Assorted soil creatures. Early sketches for Xenos' Feast by Aviva Reed. Copy of Mites attacking a nematode. Early sketches for Xenos' Feast by Aviva Reed. Copy of Process sketch for soil setting: bacteria-filled humus particle, by Aviva Reed. 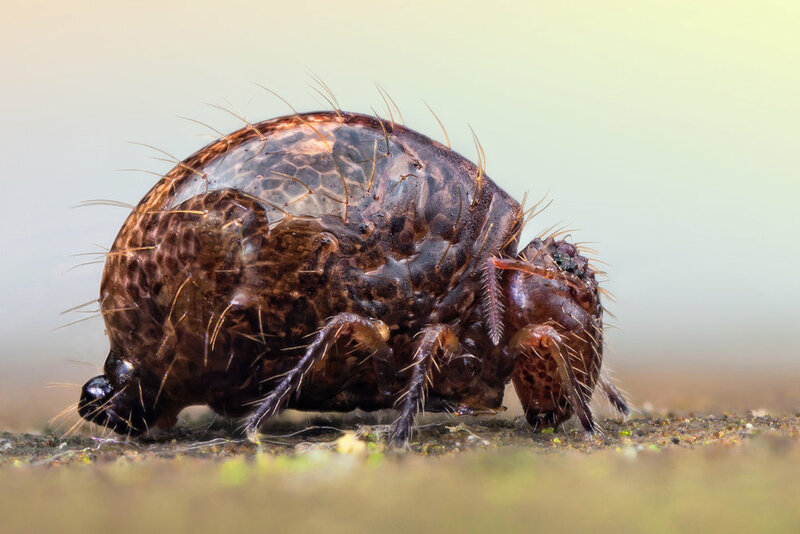 Copy of Inspirational Scientific Imagery: 100x magnified photograph of a springtail grazing on soil microbes. Copy of Inspirational Scientific Imagery: A tiny section of the 'Wood Wide Web'. 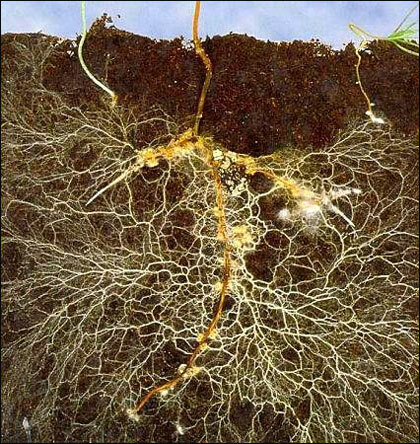 Image of how a plant root is massively extended by its fungal partner (mycorrhizae). Copy of Inspirational Scientific Imagery: 2000x Magnification of fungal web surrounding a soil particle. Electron micrograph by Thilo Eickhorst. Copy of Inspirational Scientific Imagery: 3000x magnification electron micrograph of bacteria in a soil landscape. Copy of Inspirational Scientific Imagery: 3000x Magnification of a fungal spore nestled among soil particles. Electron micrograph by Thilo Eickhorst. Copy of Inspirational Scientific Imagery: 500x magnification electron micrograph of a Water Bear (also known as a moss piglet or Tardigrade) - found in all healthy soil environments. Copy of Inspirational Scientific Imagery: 200x magnification of a mite on the precipice of a soil crystal. Copy of Inspirational Scientific Imagery: 2000x electron micrograph of cavernous bacterial structures.. Copy of Inspirational Scientific Imagery: 5000x Magnification of a soil amoeba (single-celled amorphous protozoa). Electron micrograph by Thilo Eickhorst.